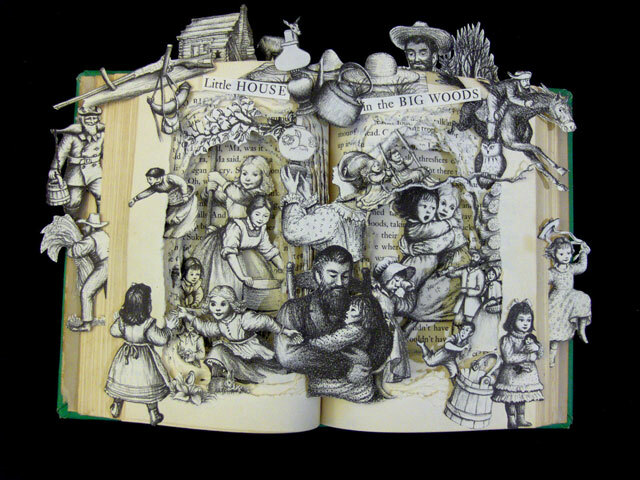 Artist Kelly Campbell Berry takes children’s books and crafts intricate one-of-a-kind sculptures within their pages. 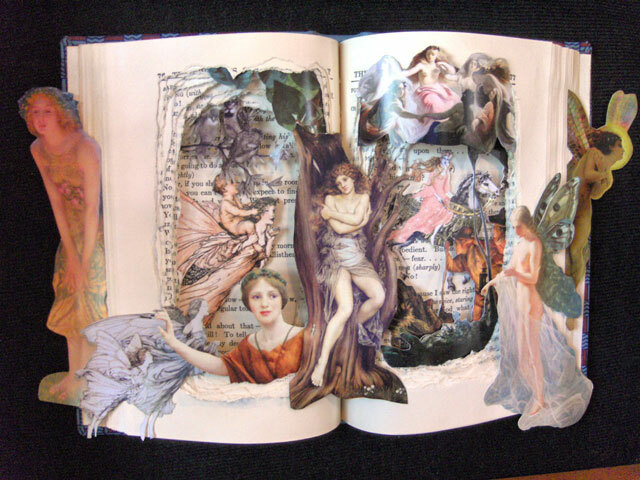 Her collaged book sculptures are available to purchase at her Etsy shop, Artful Living. I am truly amazed at the ability some people have to arrange words in such a way that we, the readers, can actually ‘see’ into the imagined world of the writer. We relate, feel, and become invested in the characters so deeply that we are pulled into their world for a brief moment of escape. In some cases I remember certain books with such fondness that I feel as it I experienced them. I still have a connection to Stewart Little and the Borrowers. Books, for me, come alive. 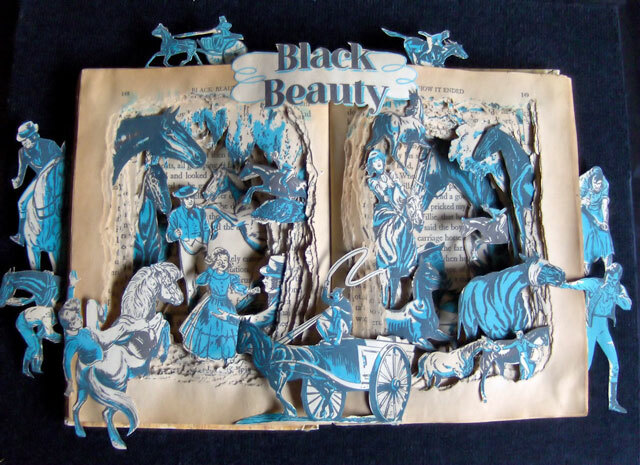 That is why I have started creating book sculptures. 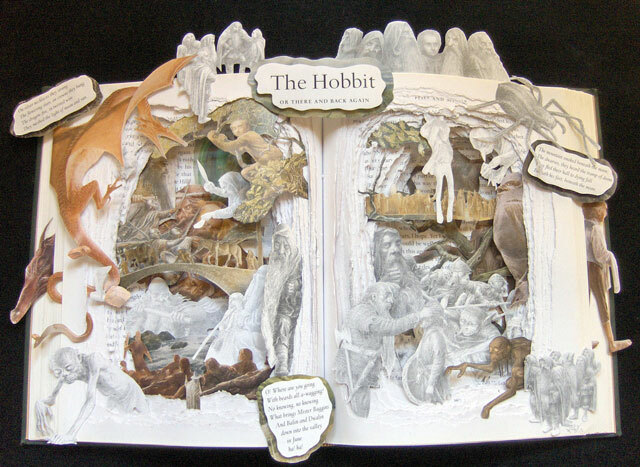 My book sculptures are my way of showing what the words on the pages create in the imagination of the readers.